Our research has found that many people are living in cold homes because they struggle to pay their energy bills. As the temperature plunges below zero around the UK, our research has found that many people are living in cold homes because they struggle to pay their energy bills. It found that almost half (46%) of those that come to the charity for support had cut back on heating their home because of the cost. The research also found that those over the age of 55, and people living with a disability, were more likely to have cut back on heating because they were struggling financially. Exacerbating the impact of energy costs and living in a cold home on overall wellbeing, the research also found that it was causing one in five respondents (20%) stress and worry, and one in six (17%) were cutting back on food to pay their energy bills. As well as the serious impact that struggling with energy costs has on people’s general welfare, the research also indicates that it can aggravate the financial situation of people already struggling. The research found that many resorted to using credit cards (14%) to pay their energy bills, and in some cases payday loans (8%). One of the most worrying findings from the research was that over half those surveyed (53%) were not aware that many energy suppliers offer support towards Winter energy bills to certain customers, such as those on low incomes. Similarly, two-thirds (66%) were not aware that some energy suppliers have charitable trusts to help certain customers who are struggling with their energy bills. 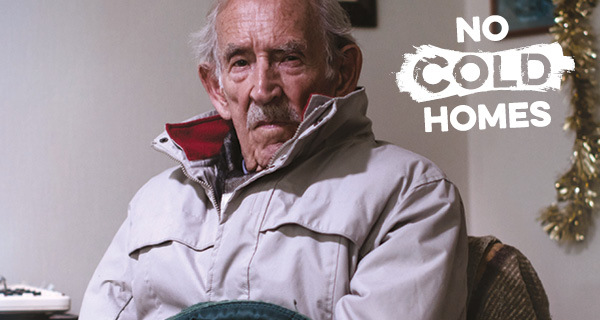 We are launching the No Cold Homes campaign to raise awareness of the different types of support that are available. Representatives from a number of energy companies, including the ‘big six’, as well consumer organisations, are meeting with us in Parliament today to discuss the findings of the research and to discuss how economically vulnerable people can get better access to practical help with their fuel bills. You can find out more about the campaign, and how to support it, on the No Cold Homes campaign section.